I primarily work in narrative filmmaking, though corporate work is hardly foreign to me. Here are some samples of my work. "An introverted musician with big dreams aspires to greatness. Said musician happens to be a robot." "A man finds himself in the unlikeliest of conversations with an overeager life insurance telemarketer after being placed on hold by the suicide hotline. "In space, it's hard to find friends." "A malfunctioning smart assistant sets out on an epic quest to find the music in his heart and also kinda maybe sorta become a samurai." "Beautiful lunacy. Singing fruit. 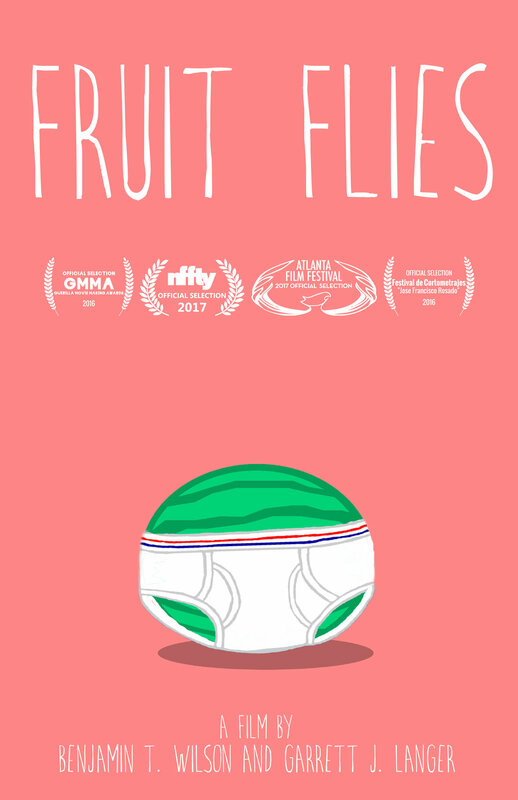 A film chronicling the tipping point of a man driven to madness by his unrelenting, unusual, and addictive `friends.`"
"Two similar yet contrasting conversations play out over a single scene in this brief but heartfelt examination of title character Ramona; a coyly distant mystery loved by everyone except herself." "An unlikely Prom Queen questions her crowning as an admirer explains why he thinks she deserves it." An experimental piece attempting to capture the moments between the minutes we remember. The first of its kind, an original musical created entirely with the app Snapchat. No external editing or third party software was utilized in the creation of this film. "A first date in a seemingly insignificant theater ends up being the beginning of something special." "Possibly art. Arguably satire. Undeniably stupid." My senior thesis film from Edinboro University of Pennsylvania. Self depricating disclaimers withheld upon request.